Around eighteen months ago, just after I released The Little Bootcamp Book of Workouts, I wrote a short article on lessons I learnt from launching a product that could equally be applied to running a bootcamp business. Well last weekend I did something else for the first time. I helped organise a live workshop and once again I learnt a tonne about business. I feel compelled to share some of the universal lessons learnt that you should turn around and apply to your bootcamp. This was rather an unfortunate lesson to learn but I am glad the regular practice of risk management has become just a part of running outdoors group sessions for Garry and myself. If we hadn’t gone through steps to mitigate risk and protect ourselves, we could be in a world of hurt right now. In a bootcamp environment, accidents will happen. Clients are trying to work intensely, they get excited, things happen. You can’t stop it 100% but you can certainly manage it by identifying and eliminating or reducing your risks. Get insurance. If you haven’t got it, get it now. Do I need to expand on this? Plan your sessions. During the workshop Garry spoke about how planning your workouts is important to ensure clients keep progression. Well it’s also important so that in the event of an insurance claim you have evidence that you progressed your clients from A to B. Evidence that you had thought about why they were doing those exercises on that day. Winging your planning may seem more intuitive and fun to you now, but it really isn’t worth the risk. Get clients to perform a written health screen and get them to sign a waiver. The health screen will bring to light any injuries or conditions you should be aware of and the waiver will help protect you in the case of an injury. This is the form we had trainers fill out and sign for our workshop. Of course this is an example only and you should check the wording with your lawyer. Perform a risk analysis of your training area. I’m insured with Guild Insurance. They were fantastic in assisting us preparation for our workshop. They also have an entire section on their website dedicated to helping trainer think about risk. I recommend checking out their article on risk management. They are not paying me to say any of this, it just seemed like something useful to share. If you are training 15+ people, you should really consider hiring an assistant. I know this may seem like a difficult task to find someone but it doesn’t have to be. I found my first assistant at a bootcamp training course. He wasn’t ready for his own bootcamp at the time and I needed someone to help. Now he is one of my closest friends. Does your insurance cover you for that many people at once? What do you do when on a group run and someone cannot keep up or is trying to nurse an existing injury? 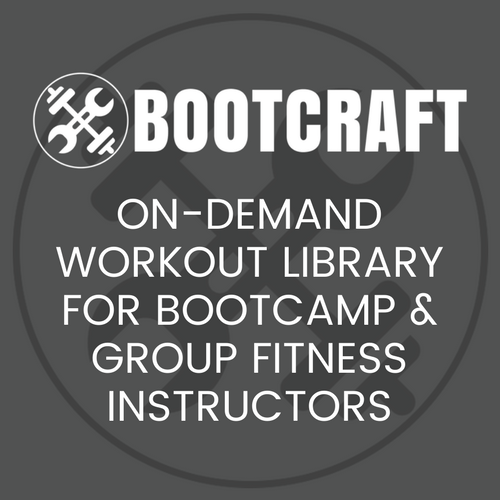 How long does it take you to set up for bootcamp? Who keeps the group motivated while you are looking at your stop watch? Having Simon assist us on Friday was life saving. We were on a tight time frame so we had to be quick at setting up the next drill. Having two instructors to set up a drill while the other looked after the group made it possible. When one of the girls collided with another, Simon was able to look after her while we kept the session running. The alternative would have been to stop the workshop while we tended to her, which I’m sure people would have been understanding of the situation, but it meant no time was lost. Do not let your ego get in the way of giving your clients a safe and effective training environment. Who loves to deal with their local council? We had quite a struggle with booking our workshop venue. In fact Garry was originally knocked back because he accidentally let slip the word ‘fitness’ which conjured up images of bootcamps to the council. You must keep at it though because I assure you, there is a light at the end of the tunnel. It helps to understand your thought process and their thought process. You are a cool business owner. You don’t like conforming to rules which is why you decided to be your own boss. When someone slams a closed door in your face you say ‘F*** it’ and knock a hole through the adjacent wall. You also drive a black Jeep Wrangler with a giant boot footprint painted down the sides because you are badass. Now try to imagine the mindset of the average government employee who only has that job because of the safe paycheck it gives them every week. Now you understand why you get frustrated. Because you both have different goals and values. Now that you understand that, also consider that not all council employees are like that, some might be there because they genuinely want to help their local area. And those people are dealing with the same bureaucracy you are only day in and day out. So give them a damn break! Be patient with your council. Take the time to help them to understand what you are trying to do and be flexible in what you may need to change in order to do it. Work with your council, not against them. The experience of doing something is becoming almost as important as the actual service or product you give someone. For example, I went shirt shopping the other day for some clothes. I have a few weddings coming up. I went into this smart casual type suit store and was blown away by the wood paneling on the wall and the floating wood floor. So much effort and money had gone into decking this place out. This is a fairly big chain menswear store in a shopping centre (mall). The store next door was similarly extravagantly laid out. I remember when pretty much every clothing store looked the same. White tile floors, white walls and ugly hanging racks. It all worked, I enjoyed being in the store and bought two new shirts. Now I am seeing cafe’s, stores, websites and fitness studios putting a lot of money and effort into the look and feel (the experience) of their location. I think it’s really cool. These are modern expressions of art. Leading up to the Bootcamp Training Ideas workshop, it was a real pleasure to work with Garry because he seems to understand how important experience is intuitively. He insisted that we hire Manly Oval and not just use some park. He insisted that we get the manuals we handed printed, covered and bound and not just stapled. He insisted that we ask Simon to come help us so things would run smoother on the day. He was correct. All of these little things added up to making the day very enjoyable and memorable. So in your own bootcamp don’t forget this. Don’t just deliver awesome workouts, deliver an experience to your clients and they will keep coming back for more. Scatter 30-50 coloured cones in the centre of an area. Form your bootcamp group into teams of 4 or 5 and place the teams in a circle around 15 metres away from the cones. On your word ‘Go’ each team sends one person running into the centre to grab one cone and then runs it back to their team. Get clients to add up their total number of cones to see who is the winner! Each collected cone equals 10 reps of an exercise that must be completed by each individual in the team. Have teams start by adding up how many reps they collected (eg. 4 yellow cones = 40 power jacks each). Then have them complete all of the reps and exercises, discarding each cone as they complete it. Tip: If you want to use this drill for a warm up just have them complete 5 reps of each exercise and pick really basic warm up exercises. For more advice and ramblings like this, join Bootcamp Ideas’ free email list. You will get articles like this mailed directly your inbox.